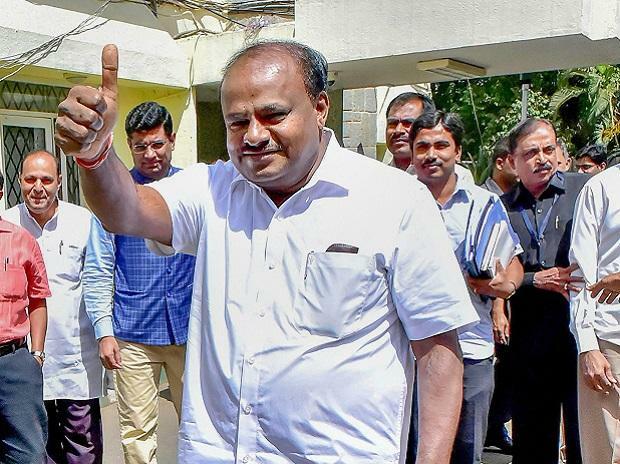 Despite the ruling coalition leaders in Karnataka announcing December 22 as the date for the much-awaited expansion of the H D Kumaraswamy ministry, several Congress MLAs Thursday expressed doubts about it happening till the Lok Sabha polls early next year. The MLAs are of the opinion that the cabinet expansion was unlikely to take place on December 22, citing "Shoonya Masa" that is considered inauspicious, as the reason. Earlier too, the cabinet expansion was put off, citing "Pitru Paksha" (a 16 lunar day period in Hindu calendar when Hindus pay homage to their ancestors) that is considered inauspicious. Senior congress MLA and former Home Minister RamalingaReddy said the cabinet expansion was doubtful because of "Shoonya Masa." (Shoonya Masa is also called Dhanurmasa which starts usually around December 14-16 and extends up to mid-January). "Because of Shoonya Masa, it is doubtful till January 14, after that if parliament election is declared it may get postponed further," he told PTI. Reddy, seen as an aspirant for the ministerial post, however, clarified that he was not lobbying for his induction into the ministry. "I don't lobby, I don't put pressure to become minister, at least let whoever wants to become minister, be inducted soon. Let high command give clarity to them on the cabinet expansion," he added. Another Congress MLA J N Ganesh said he has no hope that the cabinet would be expanded on December 22, adding, it would only take place after Lok Sabha polls early next year. "I have no hope..it will not happen (on Dec 22)," he told reporters in response to a question. "As Parliamentary elections are fast approaching, expansion at this stage may exacerbate disgruntlement within the party, so it is likely to be done after the election," he said. Ganesh also expressed a wish that former chief minister Siddaramaiah become chief minister once again. "This is not only my wish, but of 40 to 50 people. Whether he becomes now or in the future, but he has to become chief minister once again, that is our wish," he said. Another Congress MLA, also citing Shoonya Masa as the reason, questioned whether JD(S) supremo and former Prime Minister H D Deve Gowda and his son- PWD Minister H D Revanna, who strongly believe in astrology, would agree for cabinet expansion on December 22. Noting that expansion would take place only after LokSabha polls, he said "at least ten dates have been announced sofar...they (leadership) fear about repercussions after expansion, so they are just keeping on furthering the dates. They should clearly say whether they want to do it or not, so that those lobbying can rest." Ending the suspense, the Congress-JD(S) coalition in Karnataka had Wednesday announced that the cabinet would be expanded on December 22. Reacting to the doubts expressed by MLAs, Siddaramaiah, who is the head of the ruling coalition's coordination committee, Thursday said December 22 was finalized for expansion after consulting congress president Rahul Gandhi and DeveGowda. The plan was to do it on December 9, but was rescheduled as assembly session would begin from December 10 and conclude on December 21, he said. "Soonafter the conclusion of the session on December 21 afternoon we will go to Delhi to meet Rahul Gandhi and finalise the list," he said. Terming Ganesh's wish to see him as chief ministeras his personal opinion, Siddaramaiah asked "Is the chief minister seat vacant now to become (CM). Let's see if people vote next time.